Homeowners who are wondering why their water smells like sulfur have probably experienced the unpleasant odor of rotten eggs. 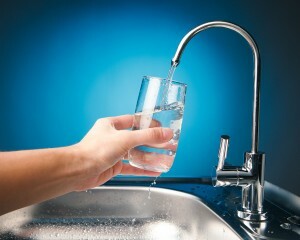 While hydrogen sulfide, a form of sulfur found in drinking water, likely won’t affect your health, it is a nuisance that can make your water unappealing. The reason why hydrogen sulfide is in your water in the first place is because of the presence of sulfur-reducing bacteria. These microbes thrive in environments with minimal amounts of oxygen, such as water heaters and inside underground water pipes, which changes the natural sulfates found in water into hydrogen sulfide. To learn more about the sulfur in your water, or about any other additives or contaminants in your water supply, you can call RainSoft today. Here at RainSoft, we’ve dedicated ourselves to improving people’s water since 1953. Our commitment to diagnosing problem water and finding the right treatment for it is part of the reason we’re so pleased to offer a complimentary in-home water hardness and drinking water test to homeowners requesting one. This test, which is completely commitment-free, can help you learn what you need to know about the sulfur in your water and will also enable us to suggest the right treatment for your water. Plus, the RainSoft water testing process is very easy and convenient. Simply call us and one of our representatives will visit your home at a prescheduled time and date, perform the test right in your home, and give you your results within a few minutes. If your water test shows overly high levels of sulfur, we can install a whole house problem-solving water filter in your home. This filter targets specific chemicals in your water, such as sulfur, and will ensure that they are brought down to minimal levels so that you can enjoy your water again. Learn more about our whole house water filters or about any of our other water treatment options by calling RainSoft today.